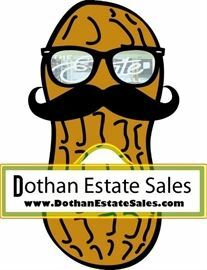 AddressThe address for this sale in Dothan, AL 36303 will be available after 9:00am on Thursday, May 9th, 2019. We are happy to have been chosen to help one of our long time customers with her liquidation needs. The property is clean as a whistle and loaded with lots of antique to vintage style furniture. I also noticed a good selection of vintage bakeware as well. We will have pictures up soon and hope to see everyone there. As always, follow us on Facebook to catch upcoming sales and the most up to date info on what we have going on.